Ahh, Homolovi is so peaceful and beautiful that we think we’ll stay another few days. Kidding – only about the longer stay. It really is a special place. There’s definitely a sense of ancestry here, just not ours. 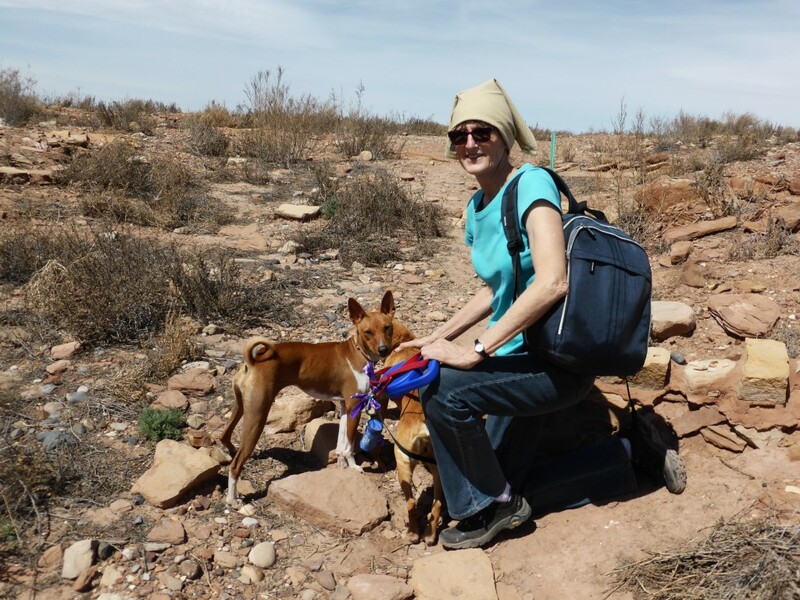 Today we headed out on a long walk to view the ruins of the ancient Anasazi people. It was not difficult to make out the individual foundations of people’s homes as we walked among the ruins. 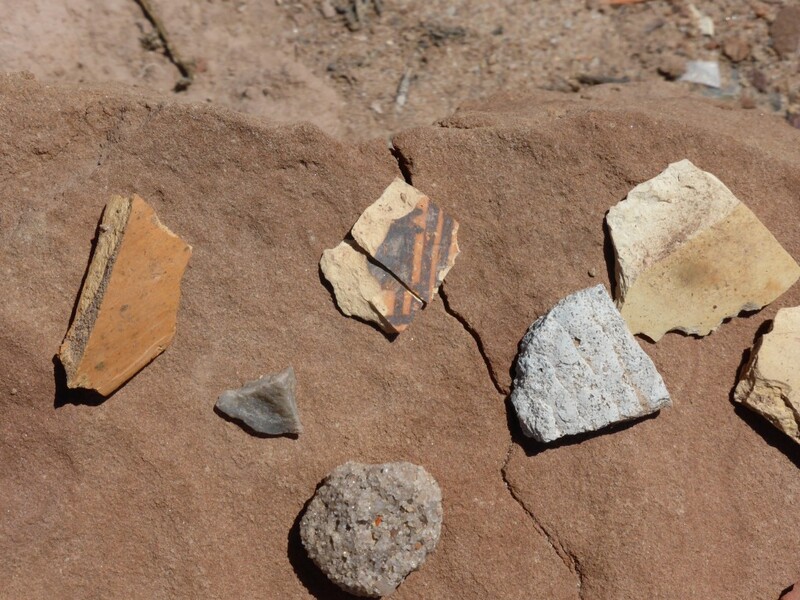 Everywhere there were pottery shards that people had kindly not taken but displayed out on rocks along the pathway. Our departure for home is tomorrow. We both look forward to seeing family and friends and enjoying certain home comforts, but it is mixed with a sense of sadness that our incredible journey is ending. Good thing we have one more family meeting on our ancestry journey – Bob Marvin. Yeah! We have all enjoyed your trip almost as much as you have. Great postings and we look forward to the last one. Next Post: Day 27 – A Fine Finale to our Ancestry Journey!